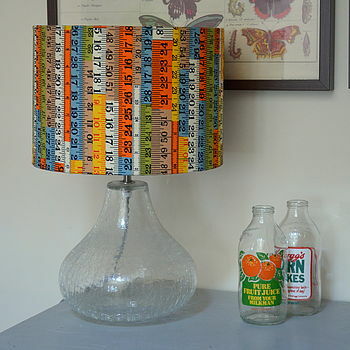 A wonderfully unique tape measure shade featuring a bright tape measure print fabric in shades of blue, orange, and taupe. 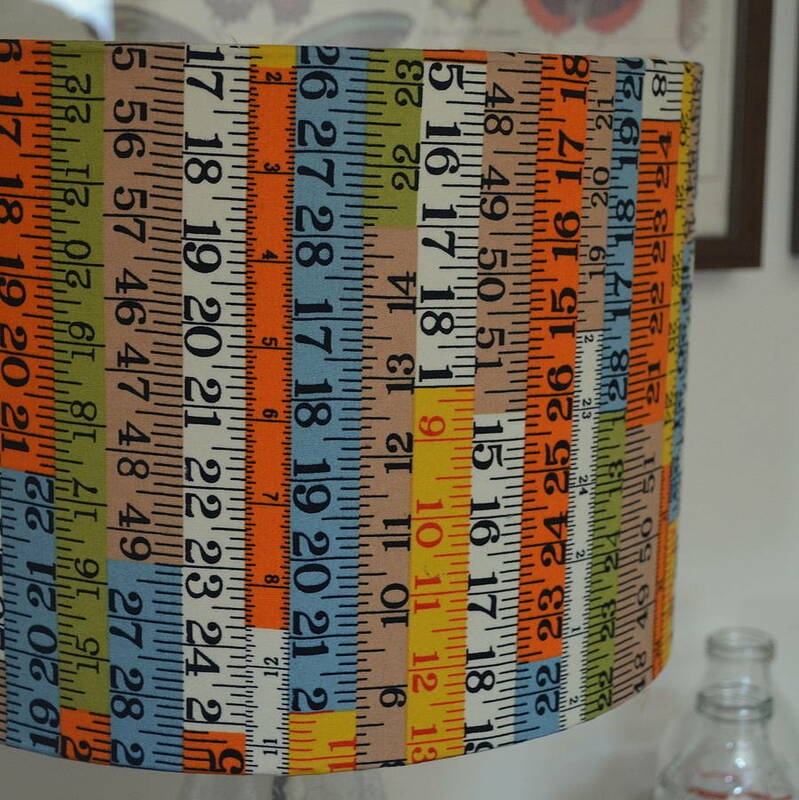 This striking tape measure fabric lampshade will make a wonderful addition to the home, or a unique gift, perhaps for someone who loves to sew! 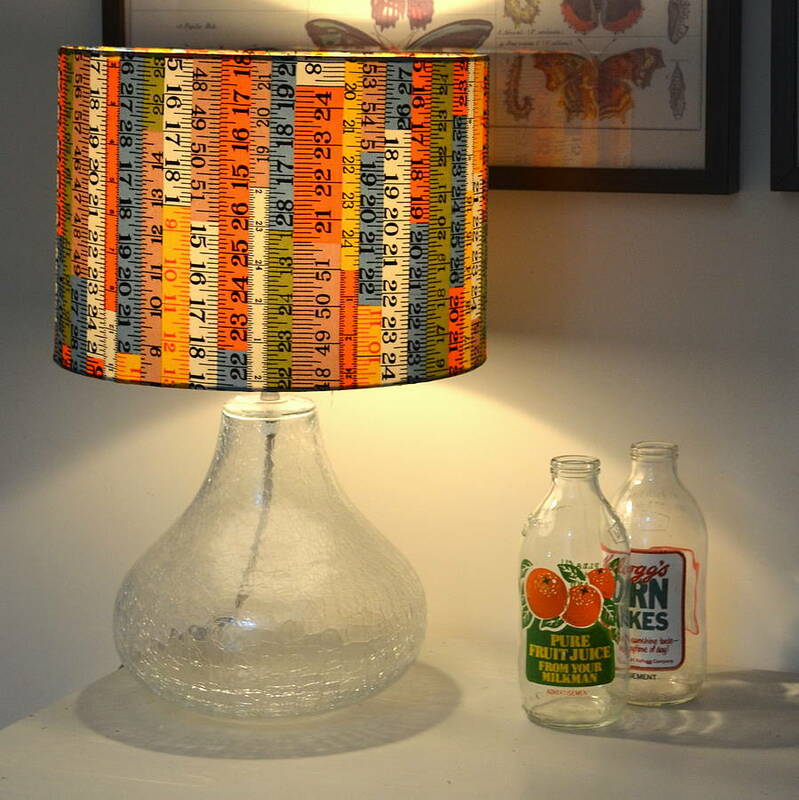 Use it on a bedside or table lamp, as a wonderful feature for overhead lighting, or even in the sewing room! 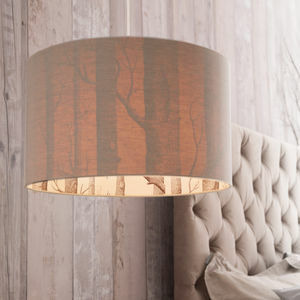 Each shade is handmade in our Devon studio using high quality materials. 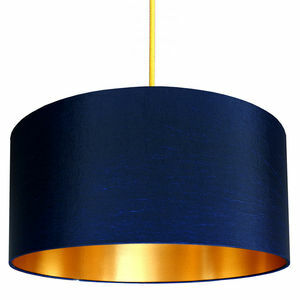 Available in 2 sizes - 20cm diameter (18cm high) and 30cm diameter (21cm high). 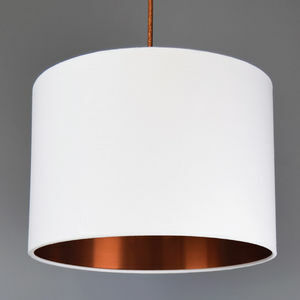 You may also choose whether we make your lamp with a pendant (hanging from the ceiling) or lamp (attached to the base from below) fitting - pleae make your selection from the menu. Made from high quality cotton fabric. 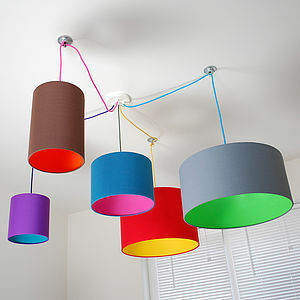 Lined with fireproof PVC coating which has been tested and passed the glow wire test carried out by the Lighting Association. 60 watt bulb maximum. 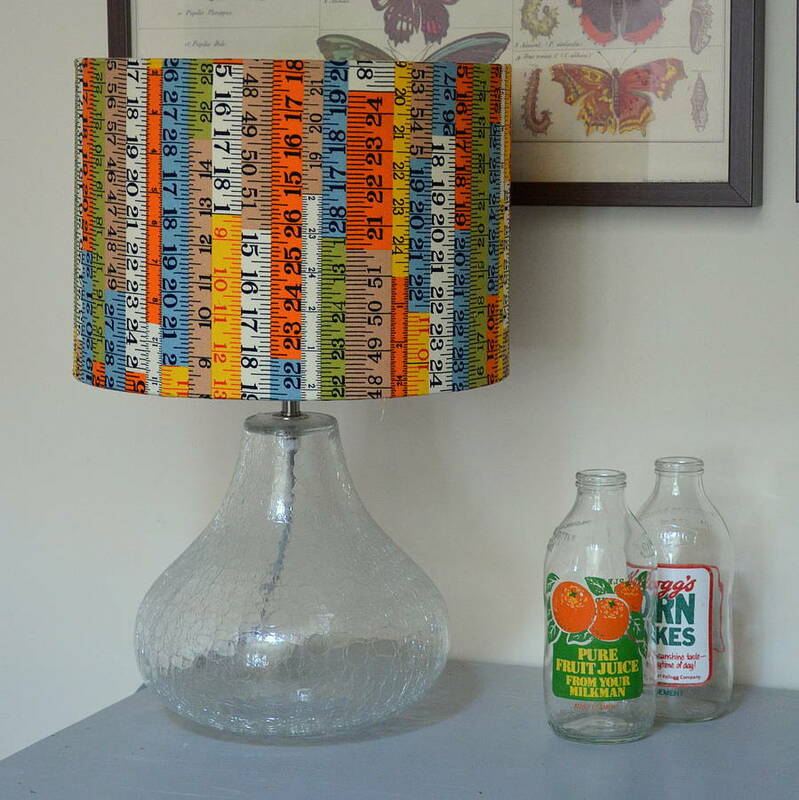 Please note, lamp base is NOT included.